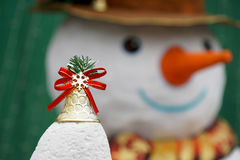 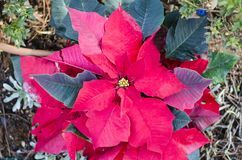 Beautiful red christmas flower or poinsettia. 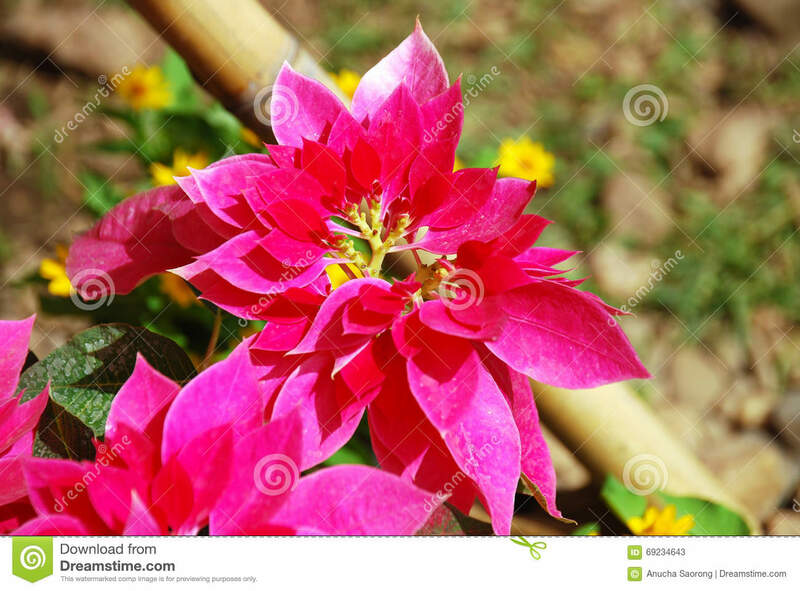 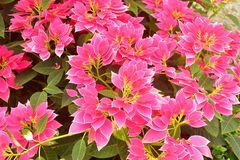 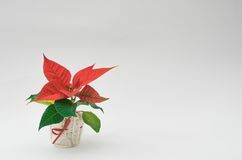 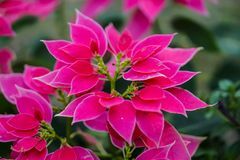 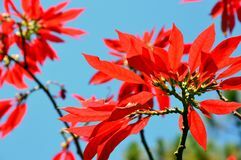 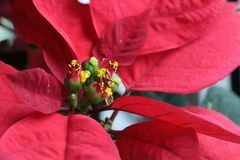 Red Poinsettia Flower, Euphorbia Pulcherrima, Nochebuena christmas flower. 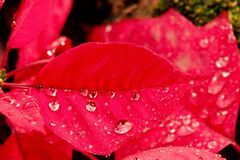 Athens, Greece Close-up view of poinsettia flowers Beautiful Euphorbia Pulcherrima Pink Leaves Garden Poinsettia as a centerpiece during Christmas Poinsettia Color Pink leaf Red poinsettia in a pot Christmas flower or poinsettia with droplet after the rain, Close up red leaves floral in the garden Red poinsettia flowers and blue sky. 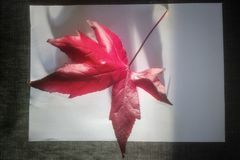 Large red Maple leaf Acer palmatum on white background.